Vigilant Love develops strategy that considers the targets, the demands, the risks, the safety of protesters, the collective energy, and the tactical optics - how we amplify the message our people power. 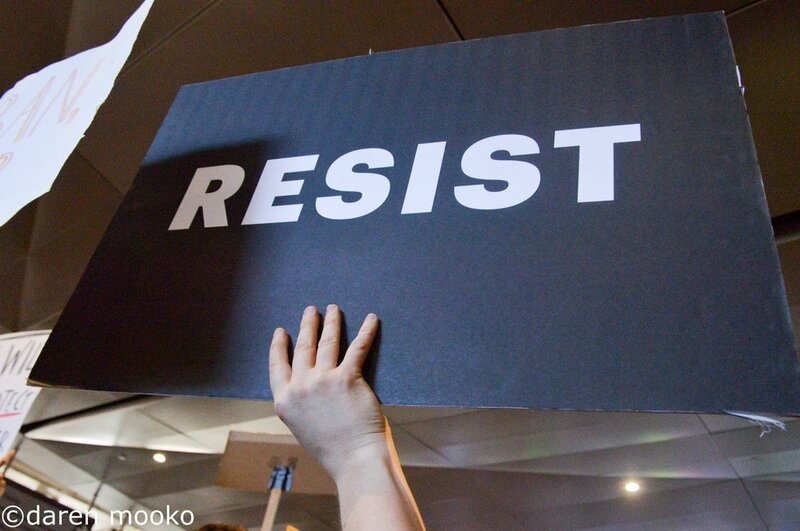 Our largest action was the coordination of a nonviolent sit-in and rally at LAX when the first “Muslim Ban” went into effect January 2017. In addition to ensuring the safety of protesters with organized safety teams, Vigilant Love coordinated calls to Customs and Border Protection and a massive sit-in that concluded in an unapologetic healing group prayer at the Tom Bradley International Terminal. Vigilant Love leads base-building workshops throughout Los Angeles, Southern California and other parts of the country looking to build solidarity. We offer 2-hour creative organizing workshops and day-long trainings for 5-6 hours with community-based and civil rights organizations, college campuses, foundations, unions, allies in various industries and beyond. -Building Capacity for Solidarity: Direct Action, Safety and Healing Justice Training. Racialized and gendered Islamophobia creates a hostile environment where Muslim American, Sikh, South Asian, Black and Arab American communities are harassed, targeted and abused. After the attacks on the Twin Towers in 2001, over 300 Japanese Americans gathered in Little Tokyo, Los Angeles to mourn all victims and resist Islamophobic racism. 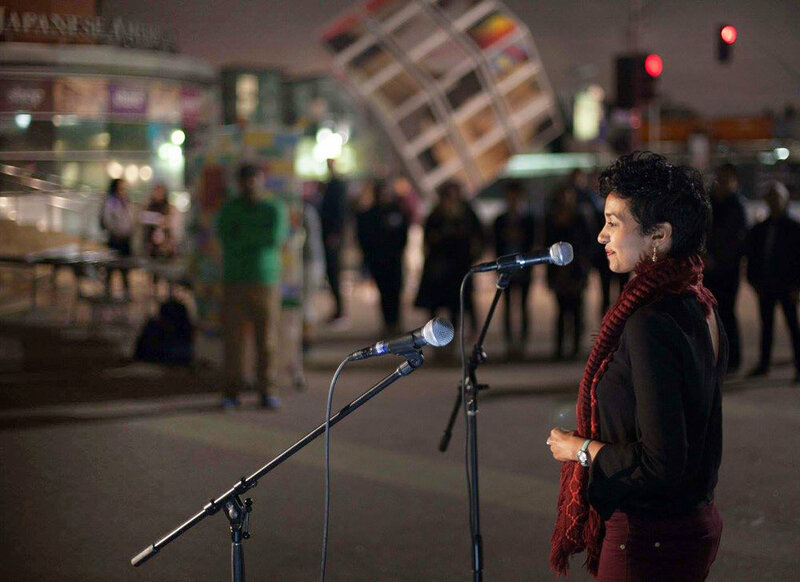 Vigilant Love carries on this tradition of creating community safety and resistance in times of crisis by organizing solidarity vigils of nearly 400 diverse community members after the Paris and San Bernardino attacks, and over 1000 Angelenos in the wake of the Muslim Ban. 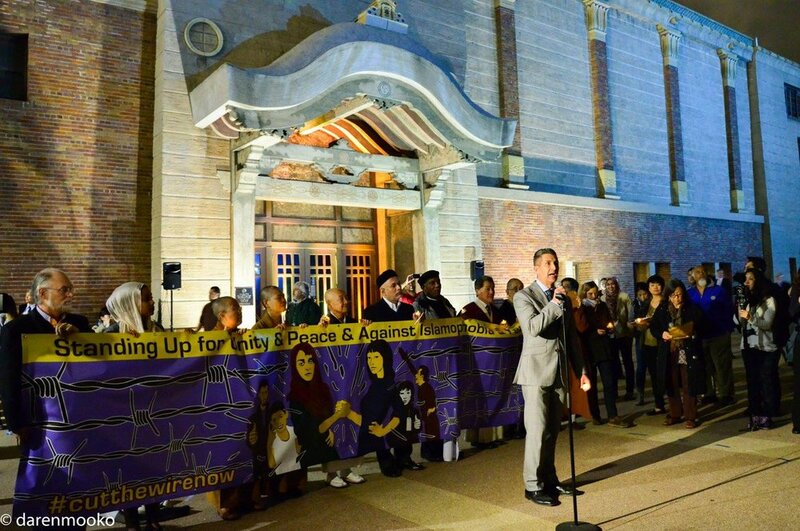 As a collective of politicized artists and organizers, Vigilant Love integrates storytelling and poetry at all of our vigils, and activates audiences with performances, such as “Instructions” - a rewrite of the Civilian Exclusion Order in the wake of Executive Order 9066 at the 2017 Manzanar pilgrimage, the Japanese American National Museum, #NoMuslimBanEver March, and several other venues throughout Los Angeles.